Time: College Men (8K) 7:20 a.m.
College Women (5K) 7:50 a.m.
High School Girls 8:15 a.m.
High School Boys 8:40 a.m. 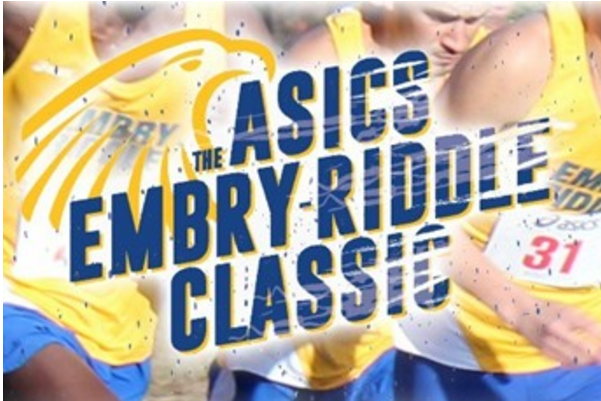 Location: The meet will be held on the athletic fields of Embry-Riddle University in Daytona Beach, Fla.
runners per team and to the first 25 teams. The JV races will be limited to the first 180 total entries. Top-5 will score with seven holding spaces. individuals in any race in which they are eligible and do not have a full team. Championship t-shirts given to the top 15 runners (JV/College) and top 25 (HS Varsity). be given to both champions. Individual shirts will be given to the top 25. Registration: All entries must be received by 11:59 PM, Monday, September 10. All entries must be submitted online either at directathletics.com (college) or at flrunners.com (high school). Waiver form: All unattached athletes must sign a waiver form before competition. High school and collegiate coaches are encouraged to have medical information on each athlete with them in case of emergency and to fill out a pre-meet form listing any athletes with medical concerns. Amenities: Food including bagels, bananas and water will be provided. Parking: There will be a $5 parking fee per car for all spectators.